Functional Horsemanship: Lateral Flexion - How Much is Enough? Lateral Flexion - How Much is Enough? I gave a client a series of things to do with her horse as a warm up or pre-ride check, not only to check to see if her horse with her before she rides but to continue getting her horse softer and more responsive. One of the things was to ask her horse for lateral flexion. I showed her how to ask it for it during ground training while her horse is in a halter, and when that gets good it transfers to when in the saddle, however from horseback she'll have to ask for lateral flexion with the reins, whether she is riding in a bit or a hackamore. After working with her horse she got back to me with some questions which are likely pretty common so I am including them in this article. "Why does my horse do well (giving softer to the feel on the rein asking for lateral flexion) for a couple times, then start to be harder to pull around?" While you want to get to the point that you can barely pickup the rein to get your horse to give laterally (or vertically when asking for that), sometimes in the beginning when you pickup the rein, if he doesn't bend, you will have to bump him (short tugs) as a stronger suggestion to get him to give. As soon as he gives and is not pulling on the rein then release, but you need to hold until he does give - meaning no tension on the rein. I like to wait a few seconds before asking again even if asking on the other side. This gives him time to absorb the lesson about giving and getting a release. If you rapidly ask and release, ask and release, ask and release, then there may as well be no release because that's likely the way he see's it. "How far should I bend him (how much lateral flexion is enough?)" I know some people want the horse to give all the way so his nose is touching your stirrup or leg. All horse's are different so there are some that this would be physically hard to do. I don't see the point in it anyway. I can't think of anything I do with my horse where I need this over extended flexion. 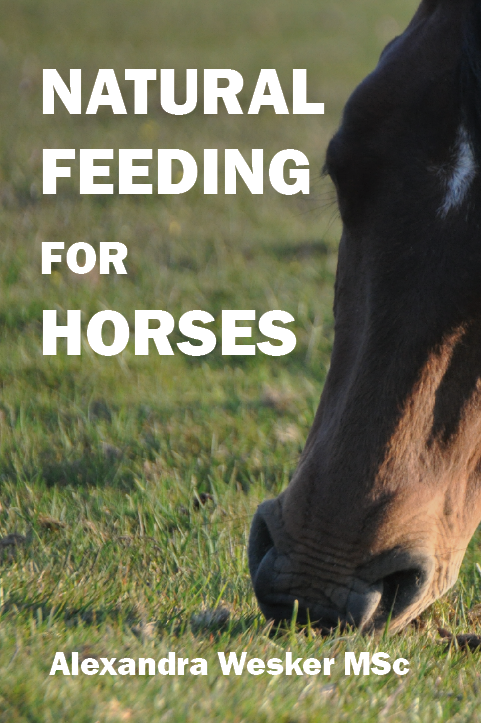 If a horse gives you, say around 100-110 degrees each and every time you ask, then how much more do you need? In the photo at right, my horse is giving me well over 90 degrees. I can use that much lateral flexion. In the photo at the top right of this article, the horse is giving me somewhat less than 90 degrees - I need a little bit more than that. I know some people are going to write me and say horse's should be able to give all the way so their nose is touching their barrel. Yep, I see horses bite their sides and do other feats of equine gymnastics all the time, but that doesn't mean I need for them to do that when I'm in the saddle. In the diagram below, I tried to draw a horse display straightness and then lateral flexion - BTW I'm not artist and I know that surprises few people, but if we can't agree that the picture below looks like a horse from above, then we simply can't be friends - anyway in Figure 2 below, it's supposed to show the horse giving to around 90-100 degrees of lateral flexion. Figure 3 shows a horse gives much more than that, somewhere around 150-160 degrees lateral flexion and again, some people actually want their horse's to touch their nose to the rider's boot or the horse's shoulder. While I'll admit I don't ride high end performance horses, I can't see any point to asking for such lateral flexion. Let me re-phrase that,......I see some trainers really cranking on a rein to get the horse to give laterally as much as physically possible.... I while I can see asking for as much as the horse can give, I just don't see the point in demanding it.